Indoor playground Fun N Laughter operates within Singapore’s City Square Mall shopping centre, at 180 Kitchener Road. As a one-stop indoor playground, Fun N Laughter features everything from retail to play, nursing to party facilities. Overall, Fun N Laughter has been designed as a place for parents and children to bond, where the play structure is designed to be suitable for parents to play together with their children. The design and built is by SPI Global Play, Europe’s number one play supplier and manufacturer, providing assured quality and safety. Facilities and services that Fun N Laughter provides include a toddler area, pretend play toys, an interactive projector, a ball pit, as well as an electric Tayo bus. The main children’s area has a two-storey play structure, designed for parents to go in together with their children. Activities include trampolines, wave slides, aerial runaway, ramps, and cannonball blaster. As for the party rooms, there are two party rooms for events and birthdays, combined able to hold 35 children comfortably. Visitors can purchase drinks over the counter, while Fun N Laughter is the merchandiser of Tayo, The Little Bus and Pororo, and The Little Penguin products. The cheapest admission rates are during off-peak times (Monday to Friday), while prices are higher and admission playtimes are more limited during public holidays and Saturday to Sunday. 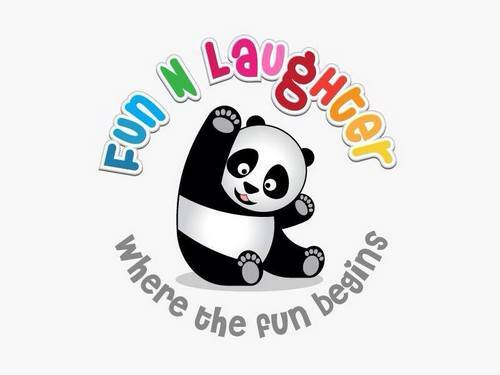 The official Fun N Laughter Facebook brand page is located at www.facebook.com/FunNLaughter2015. Following the Facebook page, you’ll learn more about the indoor playground’s events, promotional offers, and much more.